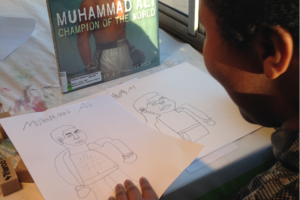 Kids make portraits of heroes.Drawing shows Muhammad Ali and young artist. 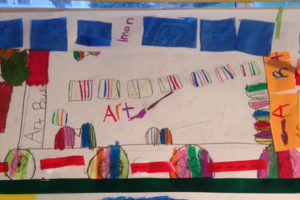 Pays for 1 artist mentor for 1 session on THE ART BUS (shown as a collage). Pays for 2 artist-mentors for 1 session on THE ART BUS. Pays for 10 sessions of healthy snack during break time. Kids need fuel! 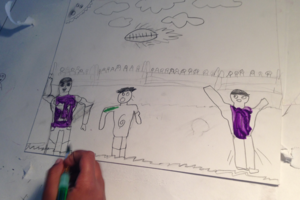 You are a patron and art star, scoring a touchdown for THE ART BUS! 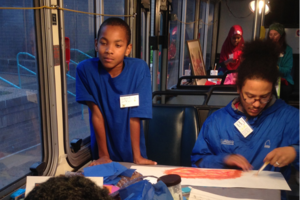 The Art Bus was created to provide arts education to youth from low income families with limited or no access to arts programming. ART ASAP, Incorporated built The Art Bus to provide a high quality, hands-on learning experience with the goal of developing artist-mentor relationships with youth participants. We give under-served youth the opportunity to feel, heal, and create with the hope that young people exposed to poverty, violence, or addiction find an outlet in creative and constructive ways through the art-making process. 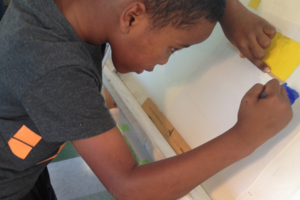 ART ASAP encourages artistic growth and creative self-expression through exposure to talented teaching artists throughout the school year and summer sessions. The Art Bus is an 8’ x 40’ MTA bus that has been completely renovated into a 320 square foot art studio that comfortably accommodates 20 students and 6 staff members. The bus has three types of studio stations to adapt to different learning styles. The Art Bus engages participants by making them stakeholders during the project. Portfolio storage for each participant provides an incentive to return and complete artworks. Attendance is an important part of the responsibility to participate. The registration form will contain a contract that promises the commitment of the students to attend the program consistently, as projects will be ongoing and studio space is limited to 20 youth participants. The excitement of an art show at the end of the project creates a goal to achieve, promotes community engagement, and builds confidence and positive self-esteem. The Art Bus was created by stripping the interior of a Metro Transit Authority bus and transforming it a mobile art studio. Hundreds of hours by so many volunteers and donations by carpenters, flooring companies and electricians, The Art Bus became a reality. Easels, tables and personal storage space are provided for each kid during a 10 week series of art classes. 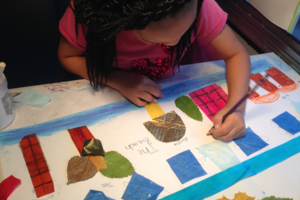 Targeting underserved youth living in affordable housing complexes in the Twin Cities 7 county metro area, The Art Bus provides quality after school arts programming. 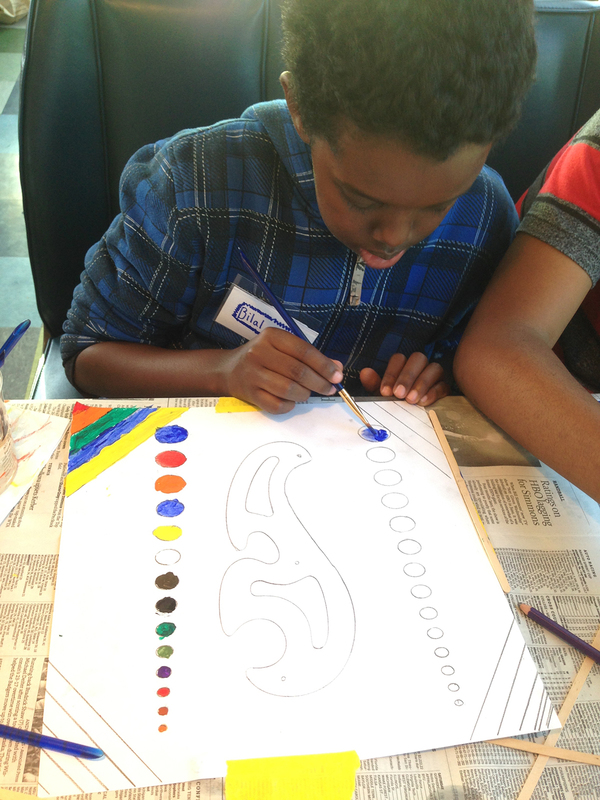 Kids exposed to poverty, violence or addiction find outlets in creative and constructive ways through the art-making process on THE ART BUS. 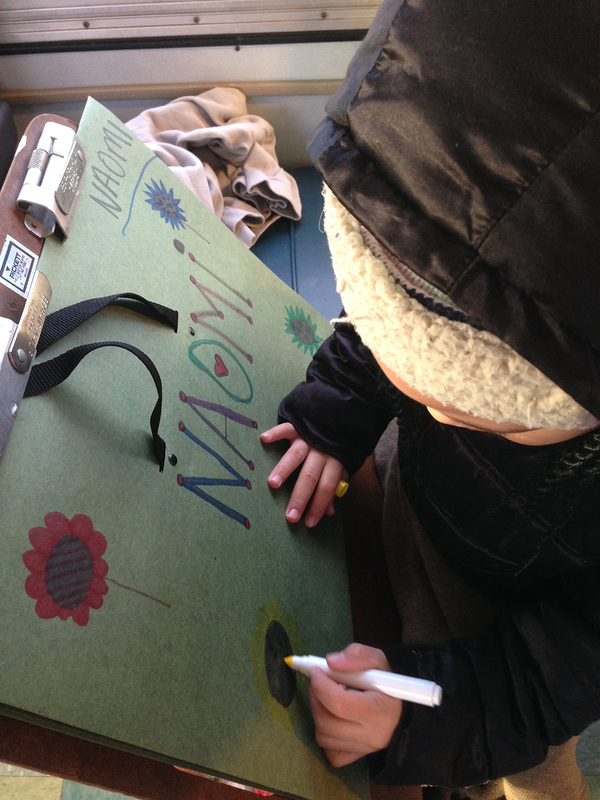 The Art Bus transports quality art supplies and professional teaching artist-mentors where the kids live. The goal: develop meaningful relationships based on common bonds of race and circumstance while participants create a portfolio of artworks on the studio bus over 10 week sessions. 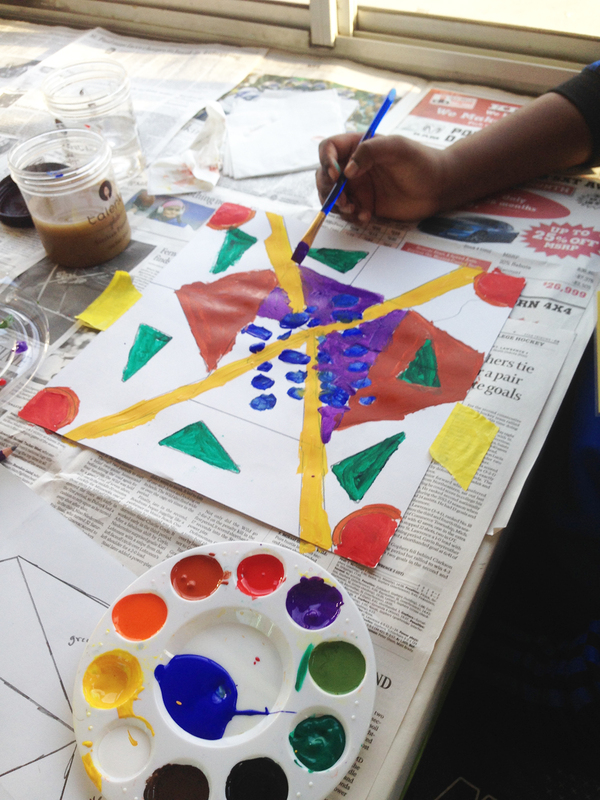 During art sessions kids work on projects in a variety of 2 D media. Each project addresses issues of identity, family, school and circumstance. Every kid has their own portfolio storage on the bus so they come back and build skills based on process learned during the assignments. The project culminates in an exhibition that instills pride of accomplishment and gives kids a tangible take-away: their own art portfolio.